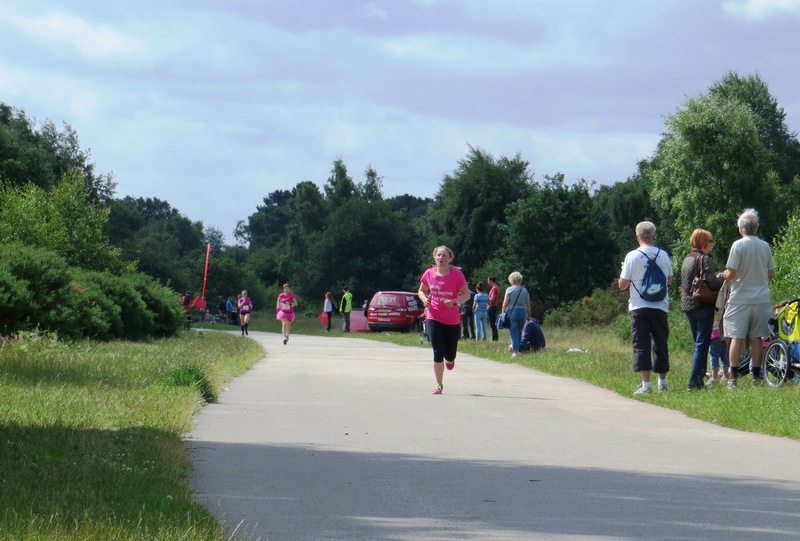 Just completed my first "race for life" - 5km in Sutton Park. I came 7th - in a time of 26 minutes, a personal best. The weather was beautiful and I was really pleased with my 7th place (out of 2500 women running in aid of finding a cure for cancer). Some of the women wore messages pinned to their backs as a memorial to friends and family members who had died from cancer - it really brought a lump to my throat, especially since I lost one of my own Grandmas to the disease. Cancer - we're coming to get you!